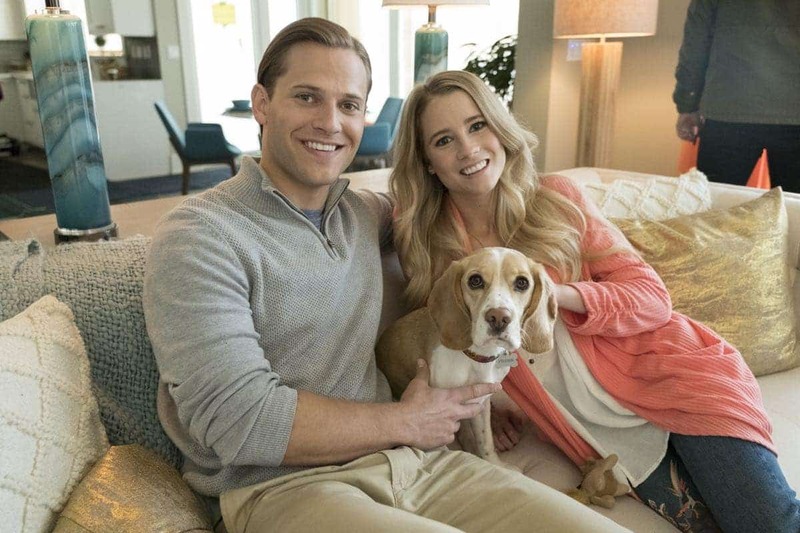 In Hallmark Channel’s new delightful film “Like Cats And Dogs,” Wyatt Nash portrays a graduate student seeking a weekend of quiet solitude, who finds himself inadvertently sharing a getaway with a young woman and her dog. 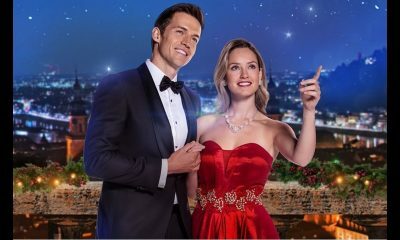 In his third Hallmark film, Wyatt continues to effortlessly charm. 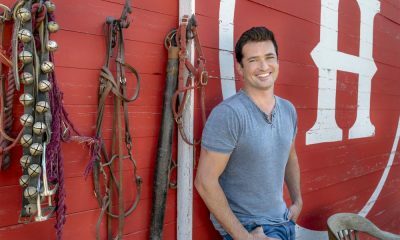 In an exclusive interview, Wyatt shares what continues to draw him to the Hallmark world and its heart-warming stories. What initially appealed to you about the role of Spencer and working on Hallmark’s “Like Cats And Dogs”? WYATT: Spencer is a little quirkier than what I’m accustomed to playing, and I imagined it would be a fun change of pace. How would you describe your character Spencer? WYATT: Practical, calculated, kind, and a little goofy. What did you enjoy about portraying Spencer in “Like Cats And Dogs”? WYATT: I really enjoyed how his very specific worldview and how it changing worldview affected his actions over the course of the film. What has been your favorite part about working “Like Cats And Dogs”? Any favorite scenes? 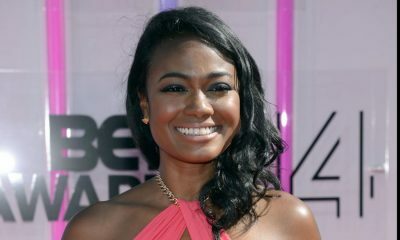 WYATT: Cassidy [Gifford] was the best. I couldn’t have asked for a better costar. There were a couple of dancing clips, and I enjoyed the how they revealed more of who the characters were. Then what has been the one thing you as an actor haven taken away from working on “Like Cats And Dogs”? WYATT: I had so much fun on set. In front of the camera and behind the scenes. It was a great reminder to always enjoy myself no matter the circumstances. What do you hope viewers take away from watching “Like Cats And Dogs”? WYATT: I hope it inspires the viewers to truly follow their passion and not succumb to other pressures and allow them to dictate their lives. 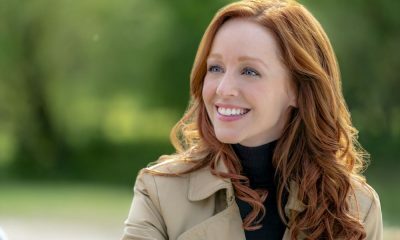 Having done two prior Hallmark films “The Bridge Part 1” and “The Bridge Part 2,” what initially made you want to join the Hallmark family for your those films? WYATT: I’ve always wanted to play a character who was a musician. Between the guitar and singing, I thought it was the perfect challenge for me. What did you learn from working on those films? WYATT: Again, it was great working and learning from my costars. As well as far more knowledge about singing and a little guitar. What are the positive aspects of being part of the growing Hallmark family for you? WYATT: My family loves Hallmark movies and are always so excited to see them (whether I’m in them or not!). Its fun being able to enjoy the movies with them. At this stage of your career, what do you think you have learned from the amazing variety of roles and projects you have worked on? WYATT: Just that there is always room to learn and grow no matter where I find myself in life. WYATT: Life is really good right now. I’m busy working consistently, but not overrun by the work itself. I’ve found a nice balance of acting and life outside of work. If there were one role you would like to revisit, which would it be and why? Do any of your characters and the situations they find themselves in ever leave a lasting impression on you? WYATT: My manager always says, “Work in a way so no one can fault you.” I think its a great reminder to do my best and always be kind and professional, no matter what. WYATT: Don’t be so hard yourself. This industry is tough enough. We should be our own biggest fans, not our largest critic. What do you consider to be one of your proudest accomplishments as a working actor? WYATT: I’m most proud of the ongoing work I’m willing to press into as an actor. I’m always willing to learn and grow and become more emotionally available. WYATT: Yes, I’ll be on an upcoming Netflix series called DEAR WHITE PEOPLE. 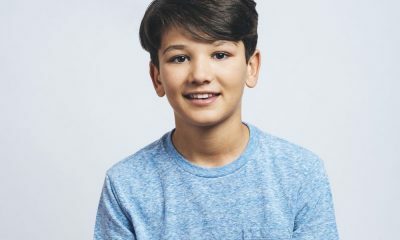 To watch Wyatt’s character Spencer navigating the adventures of cats and dogs while falling in love, be sure to tune in for the premiere of “Like Cats And Dogs” on Saturday, April 15th at 9:00 p.m. on Hallmark Channel. 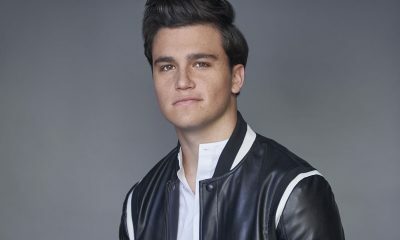 Then to see more of Wyatt’s great work, be sure to watch for him in the new Netflix drama series DEAR WHITE PEOPLE, which will be available for binge-watching on Friday, April 28th.